Duel Links Black Luster Soldier deck, how to use Black Luster Solider, Black Luster Soldier decklist. This deck consists of high-leveled monsters to use as beaters and low-leveled monsters to serve as support. Search your deck for Black Luster Soldier and Super Soldier Synthesis. Use Senju of the Thousand Hands and Gateway to Chaos to search for Black Luster Soldier. Gateway to Chaos can also be used to search for Swift Gaia the Fierce Knight if you already have Black Luster Soldier on hand. Use Sonic Bird to search for Super Soldier Synthesis. Gateway to Chaos can also search for ritual spells but only if you remove spell counters from it. 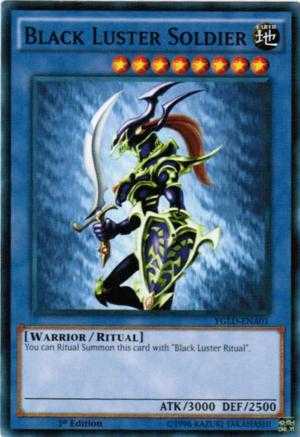 With 3000 attack almost nothing can overpower Black Luster Soldier, so your goal would be to summon him to use as a beater. 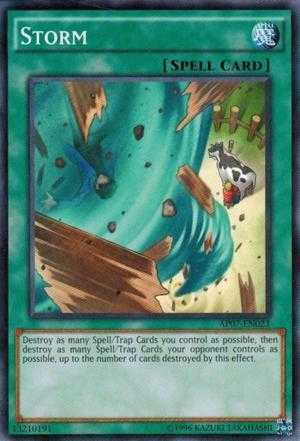 It would be best to clear the field of any spell/traps if possible before summoning Black Luster Soldier, and always use Djinn Disserere of Rituals as cost when summoning him to make him immune to trap cards like Mirror Wall and Windstorm of Etaqua. 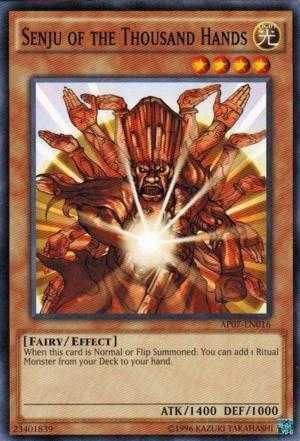 Instead of using the usual Black Luster Ritual that requires monsters from hand or field, we will be using Super Soldier Synthesis which sends 1 card from hand and 1 card from deck to the grave as cost, with this we will not lose too many cards just to summon one monster. In addition Black Luster Soldier can be ritual summoned from the grave when using Super Soldier Synthesis. With all the advantages of using Super Soldier Synthesis, it does have it's limitations. Super Soldier Synthesis has strict rules for it's cost, you must send 1 monster from hand and 1 monster from deck and they must be 1 light and 1 dark monster. Keep this in mind when building your deck to maximize your efficiency in ritual summoning. Use Three-Star Demotion to turn your level seven monsters to level four monster for one turn by sacrificing 3000 life points. Guardian Angel Joan is perfect for this deck. She is a light attribute seven star monster, making her the perfect cost to pair with Djinn Disserere of Rituals when using Super Soldier Synthesis. Or you can summon her with Three-Star Demotion, then regain your life points with her effect. Swift Gaia the Fierce Knight can be normal summoned without any tribute if he is the only card in your hand, which will frequently be the case as you use up your hand to summon Black Luster Soldier. He can also be normal summoned without tribute if you use Three-Star Demotion, which gives you two options to summon him. If needed Swift Gaia the Fierce Knight can be added to hand with Gateway to Chaos. Keep in mind that you cannot use him as cost for Super Soldier Synthesis unless you add a level one light type monster to your deck. Set Wild Tornado then use Storm to destroy it. This will trigger the effect of Wild Tornado to destroy a face up card while using Storm to destroy opponent's spell/trap, allowing you a chance to OTK your opponent. For versatile cards which can be used in any deck, check the link below! 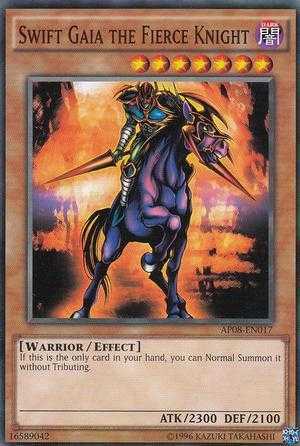 Brohunder Add to your deck if you want a more 4-star oriented Black Luster Soldier deck. Only add to your deck if you also added Sishunder. Can search your deck for more resources to use for rituals. Cyber Dinosaur A level 7 light monster to pair with any level 1 dark monsters in this deck as cost for super soldier synthesis. Can be special summoned from hand when your opponent special summons a monster from their hand. Darkflare Dragon Easy to summon since most of the monsters in this deck are light and dark attribute. 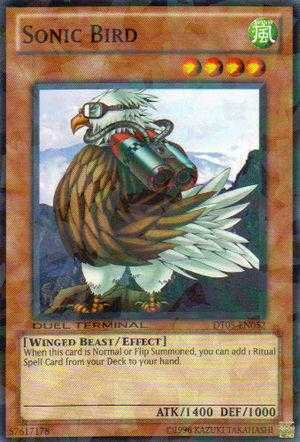 Can be comboed with Super Soldier Synthesis by removing from play the ritual cost to special summon this card. Dekoichi the Battlechanted Locomotive Allows you to draw a card when flipped face-up. Can be partnered with Senju of the Thousand Hands as cost for Super Soldier Synthesis. Des Kangaroo Can destroy be used to destroy unsuspecting enemy monsters that attack this set card. Pair with level 4 light monsters as cost for Super Soldier Synthesis. Sanga of the Thunder Another level 7 light monster. 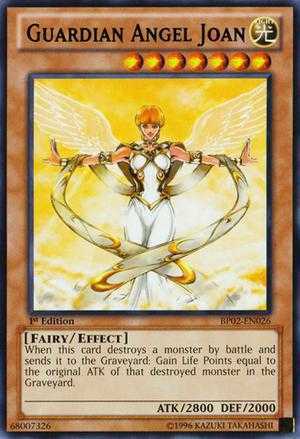 Like Guardian Angel Joan can be partnered with Guardian Angel Joan for Super Soldier Synthesis, and summoned without tribute by Three-Star Demotion. Can reduce your opponent's attack to 0 if they are not careful. 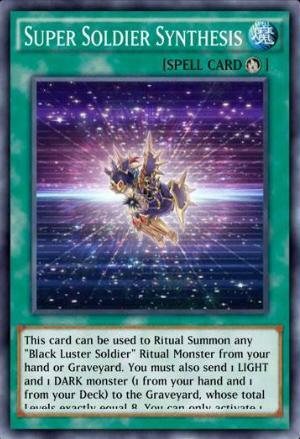 Sishunder Add to your deck if you want a more 4-star oriented Black Luster Soldier deck. Only add to your deck if you also added Brohunder. Can retrieve Brohunder from your grave to hand. Twin-Barrel Dragon A level 4 dark monster to be paired with a level 4 light monster for Super Soldier Synthesis. Can serve as a 1700 attack beater and with the added bonus of possibly destroying an opponent's card when summoned. Ascending Soul Retrieves monsters you used for a ritual summon. Use with Super Soldier Synthesis to act as a deck search. 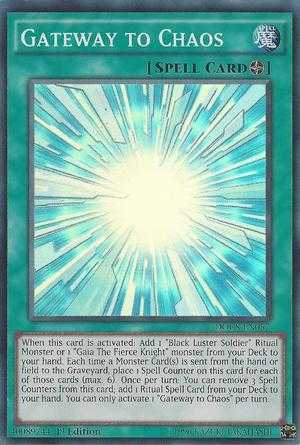 Black Luster Ritual Used to special summon Black Luster Soldier by tributing monsters in your hand and/or field. Can be added to deck to replace Super Soldier Synthesis but would exhaust your resources faster. Earth Chant Exactly like Black Luster Ritual but with the added condition of requiring your tributes having the exact number of stars. Only use if you don't have Black Luster Ritual. This + power of the guardians. Synthesis is still by far the best Ritual Spell for the Deck anyway. The only advantage to Super Soldier Ritual is triggering Awakened/Charging Gaia. And I guess not being limited to one activation per turn. "If you want to use with Yami Yugi"
Deck is pretty good but relinquished has to go. I built a better one with BLS only. Will post it after I work out the balancing. Hopefully super soldier shield comes out in the next 200 box and djinn demolisher of rituals would pair great with thunder dragon and supersoldier synthesis. If they bring him out. This could be really good vs amazones. def could be fun, but id change something in the 3sd version. remove the 2 joan and add 2 sanga instead, since you can summon them easier with 3sd. Hey, I came from the future just to tell that this deck is outdated. Here is my new BLS deck. It can make legend no problem in the current meta. Any suggestions would be appreciated. The 2 riryoku work good but they're just holding the place for super soldier shield. Djinn is a huge focus in the deck. Not sure what id do to reduce it to 20 cards. Runs extra fast when you're dealt gateway. I'm working on grinding out a BLS deck but my main issue is what do u do about mirror wall. How do u get around it. Do u have to run it with storm last gamble. 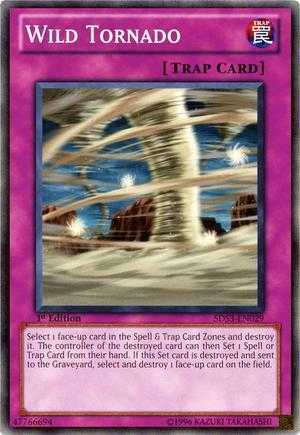 And I feel trap jammer is sketchy cuz it's easy to remove for your opponent. This is my current luster soldier deck. Any thoughts? U gotta run 3 ritual spells to deal with champions vigilance and magic drain in high level I find.